The scarf has long been a long time favorite accessory of mine. 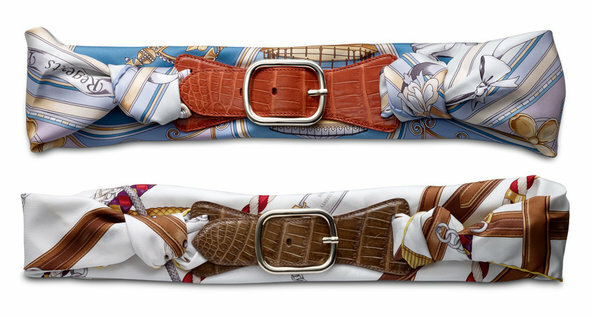 You will usually see me with a nice light lined one in my purse in the summer or a thick wool snood in the winter. Pashminas were my first love and are awesome for travel which you can use as a head rest or a blanket. I love the idea of wearing scarfs year round and in different ways. Whether you tie a small scarf of to your tote purse handles or wear it around your neck or just on your shoulders over a dress there possibilities are truly endless. 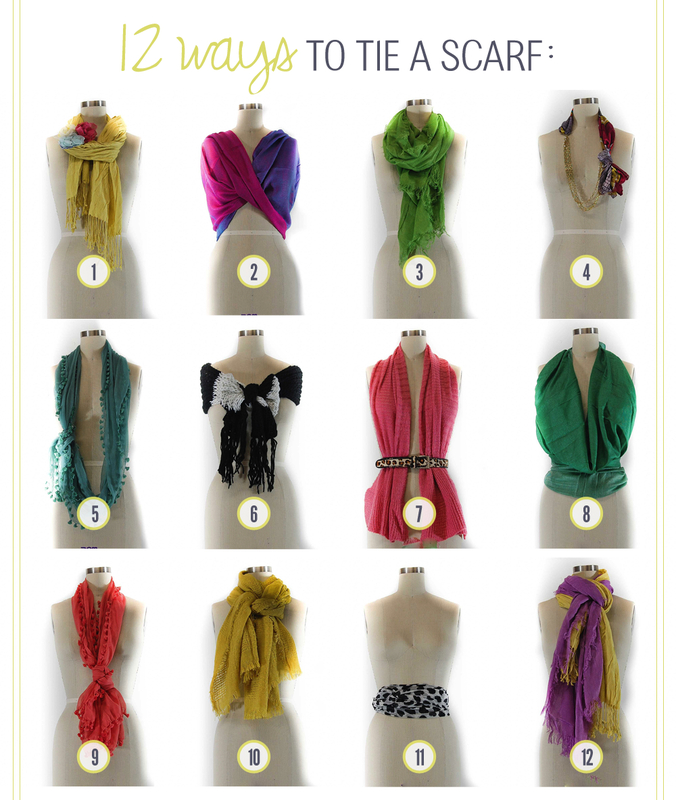 Below are twelve ways on how to tie a scarf and twelve fabulous scarves to purchase to make the look your own! What's your favorite way to wear a scarf? Part two will show lots of gorgeous looks on how fab this one item can transform an entire outfit!